Holy Goat have done it again - producing what is probably a one-off but certainly something I just couldn't pass by. Now you understand why I just had to have this. 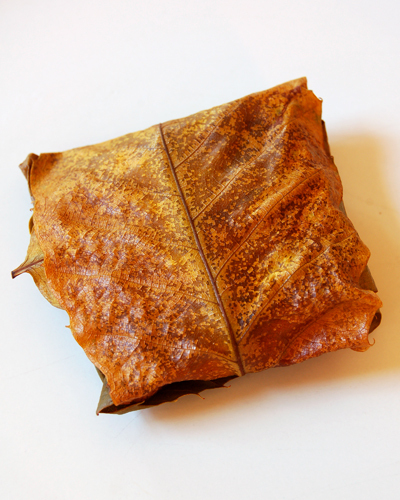 Wrapped in chestnut leaves is a round of their La Luna Baby. It's quite a delicate package, the scent is just intoxicating - those intense mushroom notes floating off the leaves. Carefully peeling the leaves back you are rewarded with quite an oozing cheese - it's at it's peak ripeness and will be perfect on the cheese platter tonight. 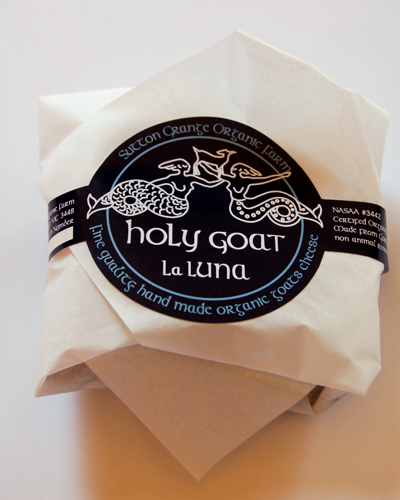 La Luna is a goat cheese with a wrinkled yeast rind - there are similar aromas to that found with washed rinds. At this stage, it's extremely creamy with an lingering flavour, somewhat nutty coupled with slight citrus. Usually La Luna is available in three forms - Baby (this one without the leaves), Full Moon (a barrel shaped) and La Luna Ring (similar to a ring donut). It's interesting to note how the flavours do alter depending on the shape. wow that looks so devine! Where can i find this beautiful cheese? Is it available in the metro area? Thanks Libertine - it was available at the Collingwood Farmers' Market, they might do it again for next weeks market at Gasworks Albert Park. Fantastic photos! What beautiful cheese. Thanks for the lovely post! girl, you should pack your bags and visit switzerland. we do cheese. big time. you would love it! Thanks Y - it does speak of the season. Myriam - I love stinky cheese! Haalo - I lack so much knowledge when it comes to cheese. Perhaps the best way to engage is to do what you do - sample...a lot. 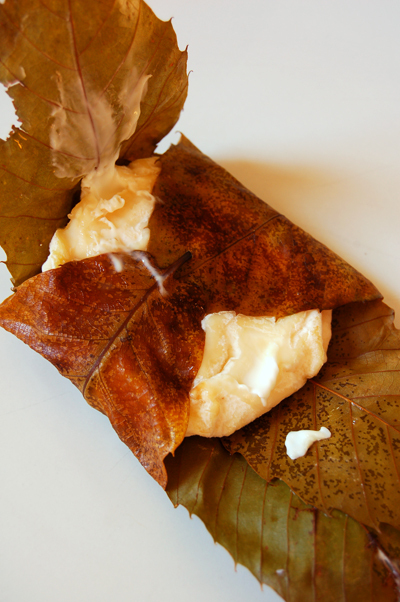 I don't think I could have passed up this creamy cheese wrapped in chestnut leaves either. 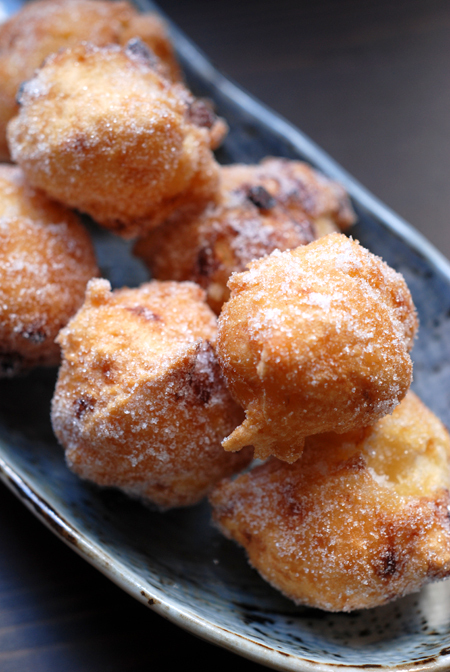 Do the chestnut leave impart any flavour that accentuates the flavour of the cheese itself? They Must make it a regular thing. i love smelly, squishy cheese!! i'll have to keep my eye out for holy goat in the sydney area. It's very true Shaun, the best way is just to keep tasting and work out what you like and don't like. 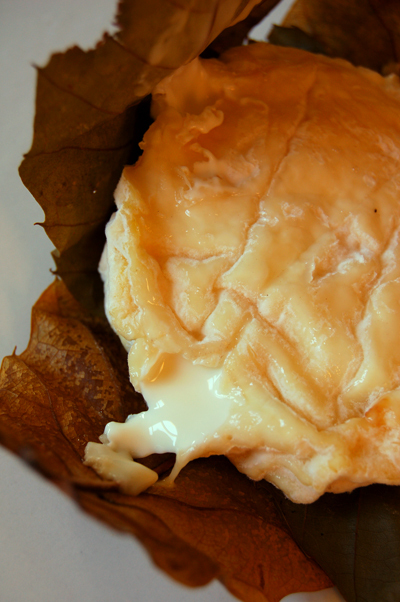 Since the leaves are added after the cheese has matured they haven't imparted a taste, it's a purely visual thing. Thanks Elareal - I hope to see it again! Hi Steph - i think Macro Wholefoods sell Holy Goat. hey haalo, i got to the gasworks market this morning only to find that it is a very rare cheese! So i got the mature veloute instead but need to go back for the pandora! Wow thats an amazing cheese. 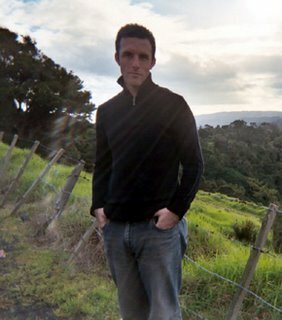 I really do love your blog, its a part of my day! Thanks so much Libertine, that really makes my day! Holy Goat do such great cheese, just wait until you try the pandora, it's a self-contained fondue! If you can't wait to try it, Holy Goat are also at the Slow Food Market next Saturday at Abbotsford Convent. I tried it when i picked up the Veloute... It was so very amazing! But alas couldnt spend all of Saturday night dinner budget on 2 cheeses! Especially since the man of the house doesnt eat it! Ended up with the smoked goats gerlami from High Country Smokehouse and some fresh pasta as well as some rhubarb for apple and rhubarb teacake. Early morning markets are a dangerous thing for me! But its good to know that what we buy is profiting the people that produce it and not going to a large corporation. And it always tastes so much better knowing its not mass produced! P.S this new cheese you have posted has me drooling already! When my retailer ran out of Redhill Sensation I tried the Holy Goat. Now I am a reasonable old hand at chevres after half a lifetime in France. I just feel a lttle uneasy with the texture , there is a sort off a eyeball centre and a very liquid surround , I thought there would have been more of a transition stage between the solid to liquid , ie a creamier zone like a runny french brie for example. Perhaps it was just the batch but I did find it a bit disconcerting.